Prepare for a thrilling and scenic 4x4 off-road experience, where natural beauty and amazing driving skills will nourish your spirit for adventure, while enjoying the best 4x4 tour conducted at the Ends of the Earth! 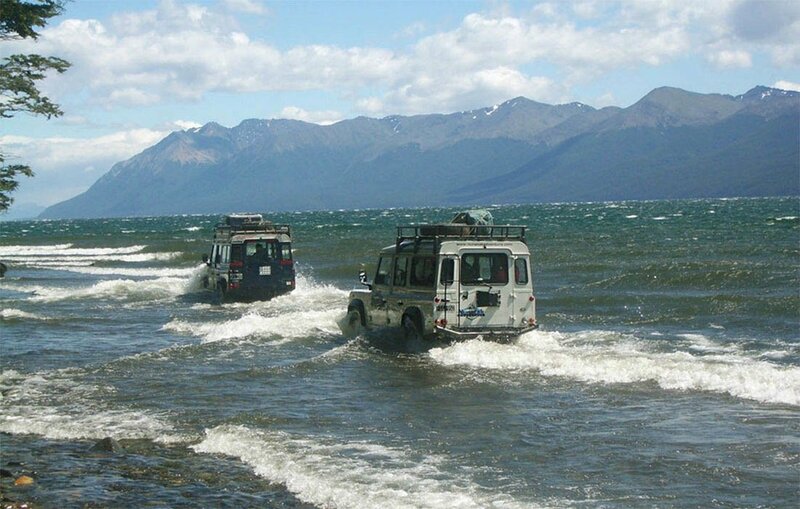 On this one-of-a-kind 4x4 tour, we’ll discover the hidden secrets of the Southern Andes, one of the world’s largest mountain ranges. We’ll take in awe-inspiring scenic views of "Lago Escondido" (Hidden Lake), and then literally immerse our vehicle into the shores Fagnano Lake. 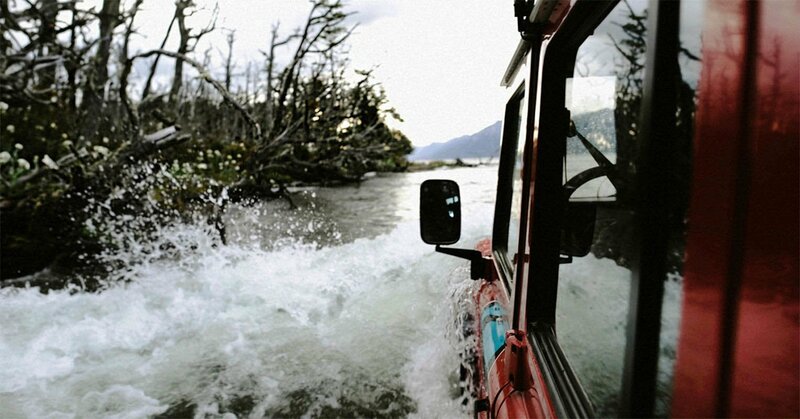 As we drive through the splashing waters on the lake’s shore, we’ll bask at the views available to us, and experience an absolutely memorable adventure. 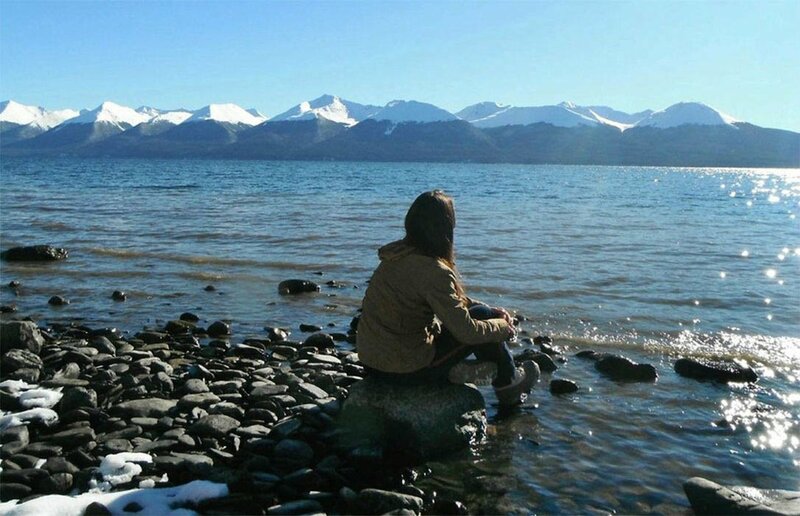 This off-road experience through deep forests and across rivers, while defying muddy tracks along the shore of the lake, will end with one of the most savory and customary meals in Argentine cuisine: an Argentine asado (meat barbeque), which we’ll accompany with Patagonian wines. Our tour kicks off in the morning with a one and a half hour drive to the starting point of our off-road adventure. The journey will take us through the Carbajal and Tierra Mayor Valleys, which offer dramatic sights of the mountainous landscape. Next, we’ll reach the high, rocky walls of the Garibaldi Pass, which is the highest point on Argentina’s National Road #3. Here, we’ll stop to enjoy a beautiful panoramic view, and ready our cameras to capture those gorgeous settings. As you look from the pass you will see the large Fagnano Lake to the North and, to the South, the smaller Escondido Lake, nestled comfortably among the mountains. 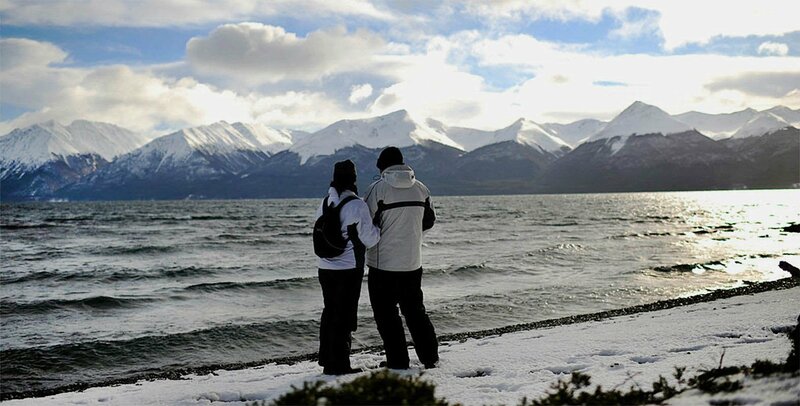 Lago Escondido means "hidden lake,” and you’ll certainly understand its name once you behold the lush forests and steep mountains that surround it. 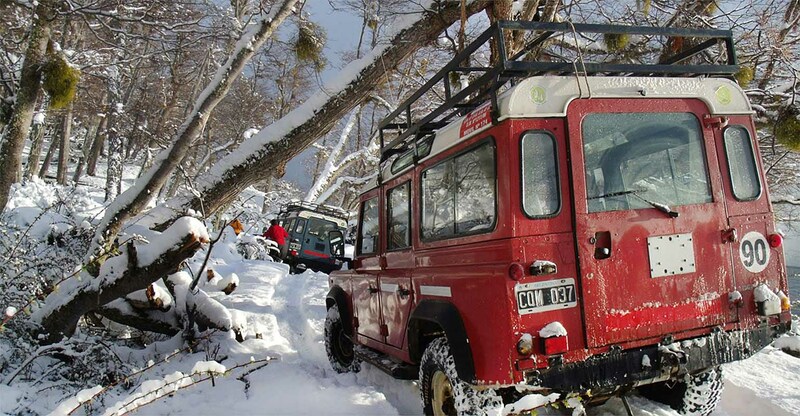 Once we find ourselves at the starting point of our off-road experience, our adventure will begin as the engine prepares for a thrilling 1 hour, 4x4 off-road dride inside the vast Patagonian forest and along the shores of Fagnano Lake. Afterwards, we’ll go to our refuge, where we’ll have enjoy some lunch. 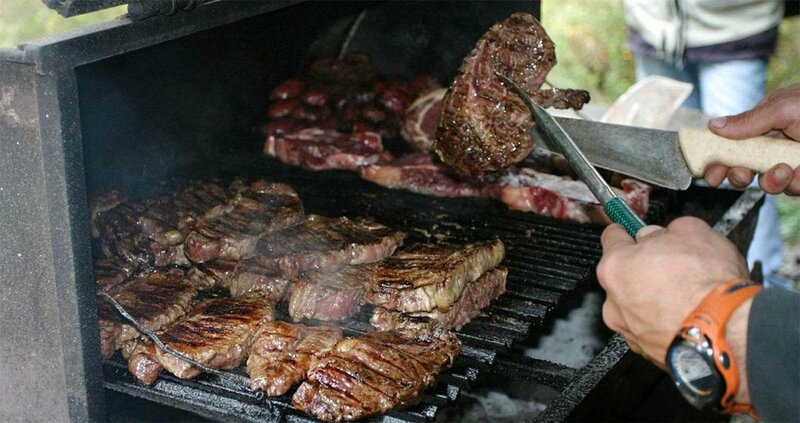 The day finishes with tasty "asado" (meat barbeque) accompanied by Patagonian wine, at our refuge in the forest. After lunch and relaxing for a while in this beautifully remote corner of the world, we’ll begin our journey back to Ushuaia. During our 2-hour ride back to your hotel, you can reminisce about the wonderful memories you’ve created during this 4x4 adventure at the Ends of the Earth! Important: weather permitting, at the beginning or end of the tours, we’ll conduct a short stop at a ski center where you can relax, ride a snowmobile or dog sled for approximately 25 minutes. These 2 activities are not included in the tour price and have to be paid then and there if you want to take them. The tour’s route, highlights and duration may be modified as needed, based on climate conditions. Since you’ll be doing this tour with your own private vehicle and guide, you’ll be able to enjoy each attraction at your own pace; making all the stops you want, all the while enjoying personalized assistance and care from your expert guide. You’ll also enjoy more convenient and faster transfers to and from your hotel, as there will be no other travelers to pick up or drop off at other hotels. Difficulty: easy. The minimum age required for this tour is 5 years old. Duration: full day (approximately 7 hours from the time you leave your hotel until you return). Guide: group guide. The maximum group size per 4x4 vehicle is 8 travelers. 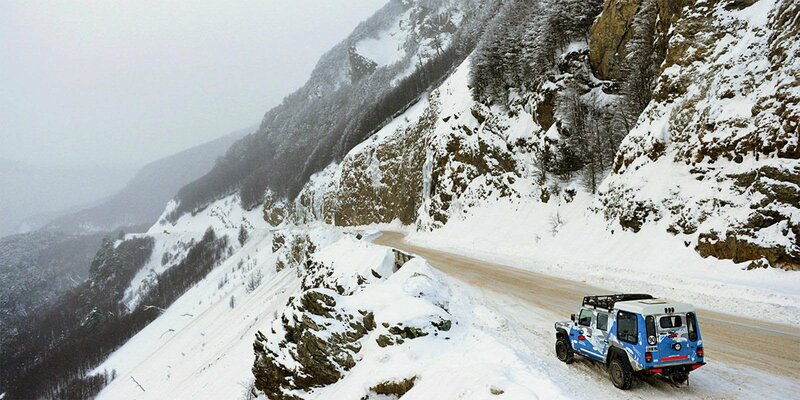 The total group size is larger as up to five 4x4 vehicles can do this tour together. 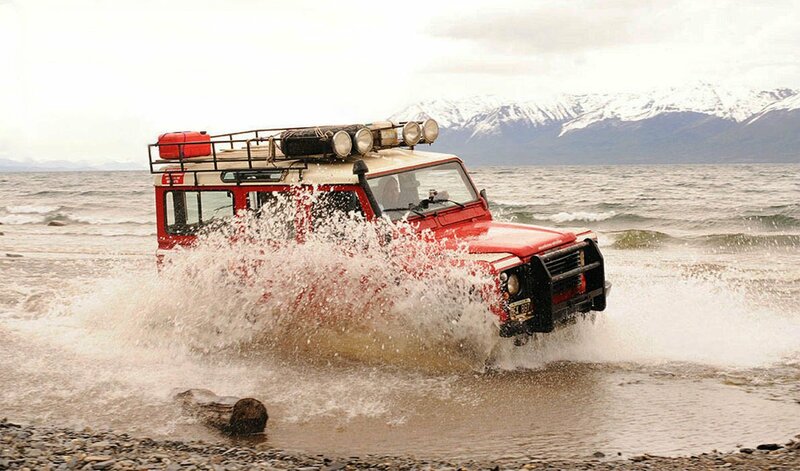 Vehicle: For this tour we use either a Land Rover Defender with a capacity of up to 8 passengers + 1 tour guide or an Agrale Marrua (a vehicle developed especially for military applications, which is extremely agile and can take on any kind of terrain with ease) for 7 passengers + 1 tour guide. 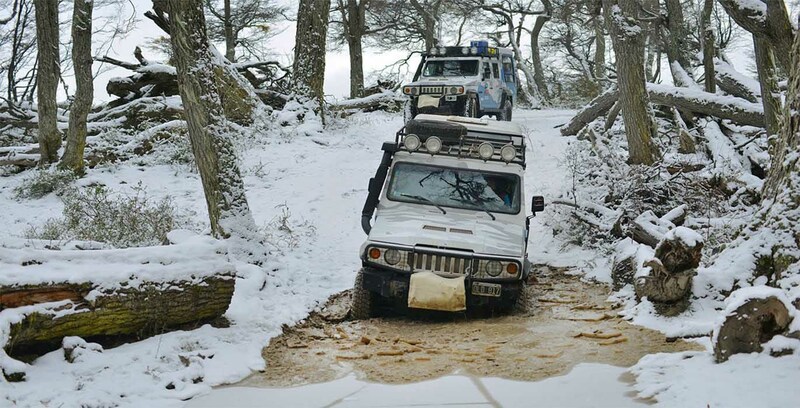 Occasionally, if the logistics allow, one of the legs to or from the place where the 4x4 adventure takes place might be done in a minibus for added comfort and convenience of the travelers. 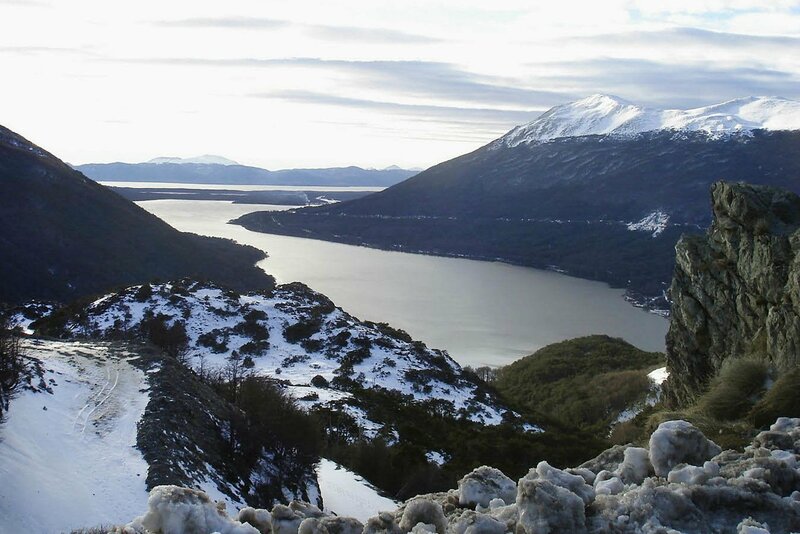 In these cases, we will do an easy 15-minute hike through the forest to reach the vehicle that will bring us back to Ushuaia. Includes: lunch with non-alcoholic beverages & wine.